We have used Alliance 2020 for 15 years, and will not even consider changing our credit vendor. We will continue to use their services as long as we continue to originate residential mortgage loans! 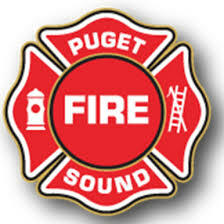 Puget Sound Regional Fire Authority uses Alliance 2020 for our background checks. We have been very pleased with not only the process and how easy and efficient it is but, their customer service as well. They have worked with us to make custom additions to our process and have always completed any and all requests, verification of employment and education in a very timely fashion saving us valuable time here at our office allowing us to focus on what we do best. Working with Alliance 2020 helps our organization verify past employment and educational degrees in a timely and professional manner. The turnaround is quick because the professionals at Alliance 2020 respond promptly; and repeatedly contact the employer or institution each day and by multiple means such as by phone, email, and fax. They are well worth the money whether you are calculating Cost Per Hire or the labor hours spent for an hourly or salary employee to do the same work as consistently and honestly as Alliance 2020. You can read the feedback provided during professional reference checks and know within minutes how a candidates reference responded to important pre-employment questions. If nothing else the verification service allows for a consistent and accurate approach to assess individuals in regard to their honesty about past employment and selection when it comes to professional references. I think the number one reason of having Alliance 2020 perform verifications for CHPW is it is a time saver for us. The process is consistent for each candidate. I also appreciate the direct communications from Alliance team members when they find they need additional information or guidance on how to proceed.